This blog post is the first in a three-part series on the topic of comparison. My goal for these posts is to show that although comparison is something we all struggle with, it’s something we all can overcome by firstly, becoming aware that we’re even doing it in the first place, and secondly, by taking the appropriate steps to change the way we think about ourselves and others. ...and wondered why her life is going so well while you feel like you’re just struggling to get by? I know I have! It’s so easy to get distracted by what other people are doing and to start desiring certain aspects of their lives as our own. Allowing comparison to consume our thoughts can cause us to stay stuck in a cycle of self-doubt and jealousy, and I think we’d all agree that’s a cycle we never want to be caught in! 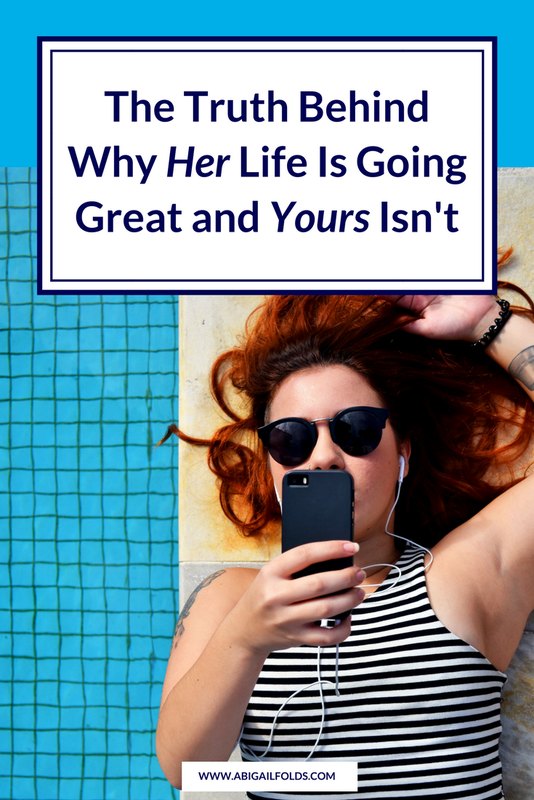 I don’t know about you, but whenever I’ve gotten caught in a cycle of comparison, I’ve always wondered why so-and-so has such an awesome life and I don’t. I mean, what is she doing differently from what I’m doing? If you’ve been wondering the same things about your own awesome friend with the perfect life, then stick around because I’m going to share five reasons (aka: truthbombs!) 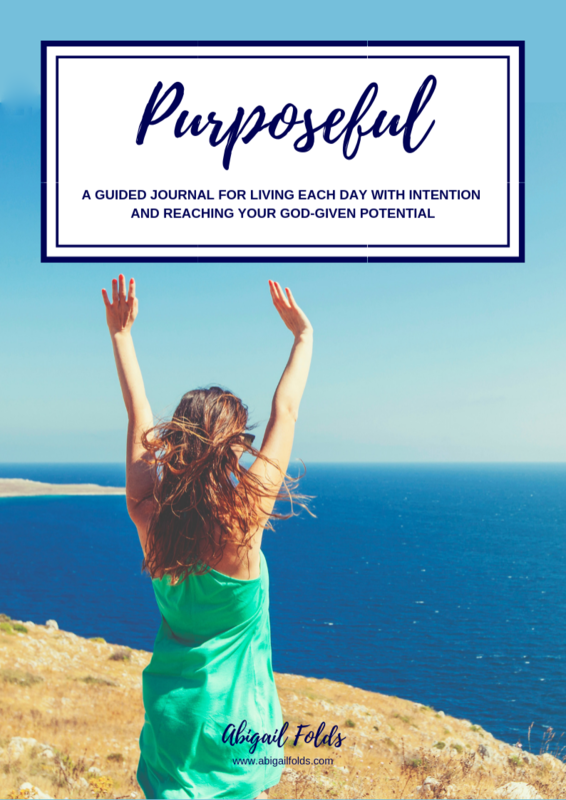 why that amazing friend of yours has such a seemingly amazing life, and hopefully, these truths will shed some light on how we all can step it up a bit toward living our own amazing lives as well. Note: Before we get started, I want to make it clear that there is absolutely nothing wrong with having role models, mentors, or people you look up to in your life and faith. In fact, looking up to someone who’s farther along on their journey can be a great way to grow yourself. The problem starts when we go from being inspired and motivated by them to being jealous of or obsessed with them. It starts when we take our eyes off of the person God made us to be and we only focus on who God made them to be, and we want God to make us more like them instead of more like Christ. Reason #1 - Her life is flourishing because her faith is flourishing. Reason #2 - She doesn’t fight the slow seasons. She knows that life ebbs and flows, and she trusts God and waits for His timing during the slower seasons of life. She allows Him to teach her, grow her, and prepare her for the next season during those times. She also remains grateful, even in the slow seasons, and she doesn’t allow herself to slip into a habit of complaining about where she’s at in life. Reason #3 - She doesn’t allow her doubts or fears to control her. She recognizes the enemy’s tactics, and she knows that whenever doubt or fear pop up, it’s him trying to distract her and keep her from fulfilling God’s plans for her. She takes her doubts and fears to the Lord and leaves them there with Him. Reason #4 - She’s in prayer and the Word daily, seeking God’s direction for her life. She spends time praising God, thanking God, and seeking Him each day. She shares her heart with Him and then listens as He shares His with her. She wants to know His thoughts for her, and how she can better glorify Him in her life. She also studies His Word and asks the Holy Spirit for insight and understanding, as well as how to apply what she reads. Reason #5 - She’s got her eyes on Christ and no one else. She doesn’t compare herself to others; she only compares herself to Christ. She’s listening to His voice and doesn’t get distracted by other voices. She focuses on what He’s calling her to do, not on what He’s calling others around her to do. So, my dear friend, if you really want to be like that sister you admire, then I lovingly encourage you to take your eyes off of her and put them back on Jesus. Sure, you can learn from her and be motivated by her faith, life, and calling, but don’t take your eyes off of Christ and what He’s calling you to do in your own life and faith. You might just find that your life and calling are pretty wonderful, too.